Preferred courtyard unit at the Domain with skyline views from the huge private terrace. This incredible urban loft has an open floor plan and features dramatic concrete ceilings, exposed ductwork, floor-to-ceiling windows, and a bonus den space. The maple kitchen is perfect for entertaining, flowing effortlessly into the eating area and the family room. There is also additional island seating, tons of cabinet space, new stainless steel appliances, and a custom backsplash. The master suite is a lovely oasis, large enough to fit a king size bed with plenty of room to spare. The en suite also has an oversized professionally organized walk-in closet. The luxurious bath features a double vanity, separate shower, and soaking tub. 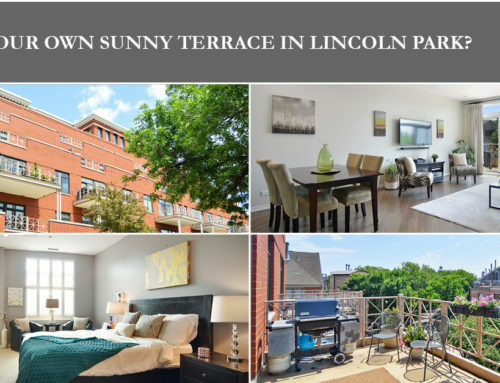 The Domain is a fabulous full-amenity building that includes 24 hour doorman, exercise room, on-site dry cleaner, water taxi stop, boat slips, and a fantastic community room that has a full kitchen and a massive wraparound rooftop deck with skyline views. 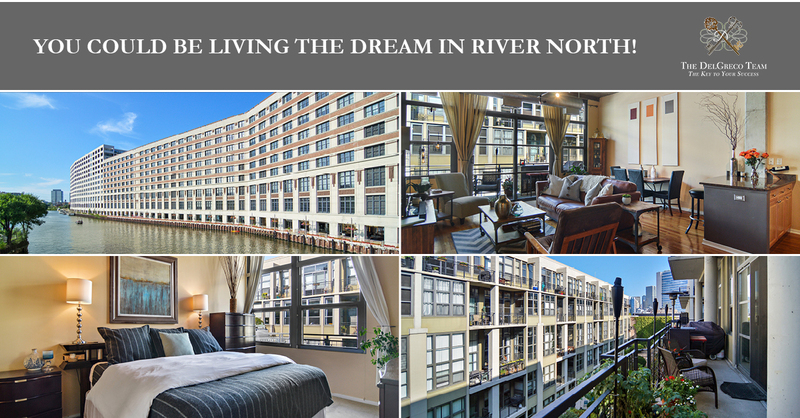 Live the life in the heart of River North with easy access to public transportation, restaurants, shopping, and so much more. Prime garage spot close to door available for additional $35,000. For more information, or to schedule a private showing, please contact us. Call 312.915.4609 or click the button to send us a message.